We hid the money on December 1, 2018. Can you find it? 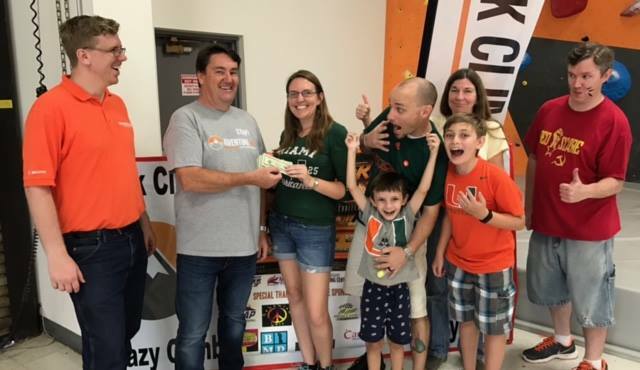 As part of every Space Coast Charity Scavenger Hunt, we always have a special sponsor who donates $1000 and lets us hide it. This year, I would like to thank Rick Shea of Famous Faces and Funnies for the generous donation. Starting December 1, 2018, all the players and sponsors signed up for the 2019 SUPERHERO Scavenger Hunt will start getting clues where the missing money is hidden. Each year, we have hundreds of teams (thousands of people) looking for the cash. 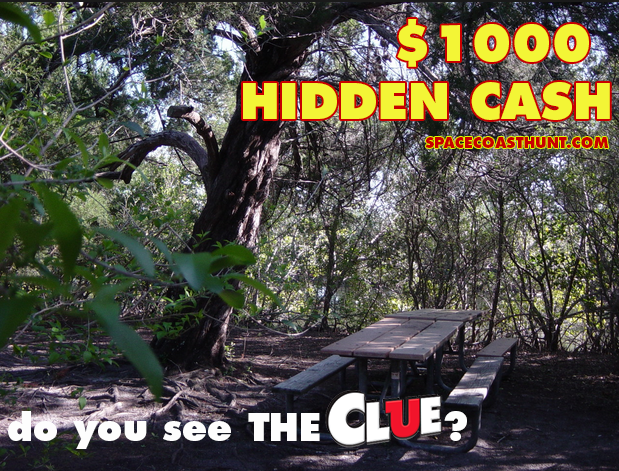 This year, do you have what it takes to find the $1000? A quick congrats to the Stockman family who found the hidden money at 9:31 on Saturday. Here are sponsors Josh Adams (RockPaperSimple), Frank Pawley (Adventure HQ) and Rick Shea (Famous Faces and Funnies) presenting the $1000 in cash. It was located in an orange-colored toolbox in the office at Pit Crew Roofing. (In plain sight) We have a hidden video of the Stockman’s finding the toolbox with the money. A very SPECIAL thanks to Adam and Avian of Pitcrew Roofing for donating the money for the challenge! Ok, we know you love driving around and looking for the hidden money; I am pretty sure we still have some teams still convinced last year’s money is located in downtown Melbourne. This year we have a new tool! Click on the button below to “test” your knowledge. You will be given a response, just like the game “hotter or colder”. There will be 10 boxes. Each box will have a correct answer. As you get more answers correct, you will be given one of the following responses. Box 3: This is the last digit of the zip code where the money is hidden. After you sign up, you will start getting the first clues. The Game Starts December 1. Sign Up Now!